Hi! I’m so glad you’ve stopped by today. I wanted to drop in and share a new holiday card class I’ve been working on for Altenew Academy, Let It Shine Holiday Edition. During our time in the Let It Shine Holiday Edition classroom, I’ll be sharing ways to add sparkle, shimmer and shine to your holiday card projects. 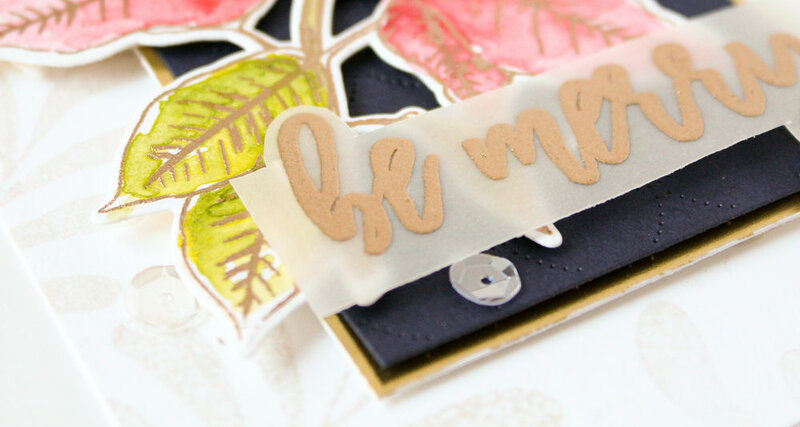 I’m sharing techniques with foil, embossing powder, glitter card stock, shimmer watercolor and more! I’ve also tried to share a variety of color palettes for you to experiment with. Let It Shine Holiday Edition has six exclusive video lessons. There are over 12 projects exclusive to the Let It Shine Holiday Edition class. I’ve included links below to some of the key products I’ll be using during the class…and a link for you to sign up as well. I’m giving away two spots in the Let It Shine Holiday Edition class. Simply leave a comment below telling me your favorite part of the holiday season (whatever holiday you celebrate). I’ll pick two winners on Saturday, October 20th, 2018 and notify the winners directly. You’ll have just 24 hours to claim your prize once notified, so be sure you’re checking your email! Good luck! Class starts October 21st, so be sure to sign up now! I hope to see you there and I can’t wait to see what you create!